The SealSkinz Ultra Grip Hi Vis Gloves are made with a close fitting stretch knit they are durable and provide a high level of comfort and excellent dexterity, perfect for a range of activities. The gloves have a high quality merino wool lining giving warmth whilst remaining breathable. The high visibility colour of the SealSkinz Ultra Grip Hi Vis Gloves makes them the ideal choice when working in dark/foggy conditions and environments where increased awareness is required. The product code for these gloves is 121161701701. 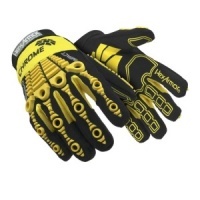 The SealSkinz Ultra Grip Hi Vis Gloves feature SealSkinz StretchDry technology. StretchDry techonlogy features Hydrophilic membranes that block water getting through whilst still allowing small sweat droplets to pass through ensuring the gloves are breathable and waterproof, this is enhanced with the StretchDry technology that allows the gloves to stretch and fit the hand perfectly. 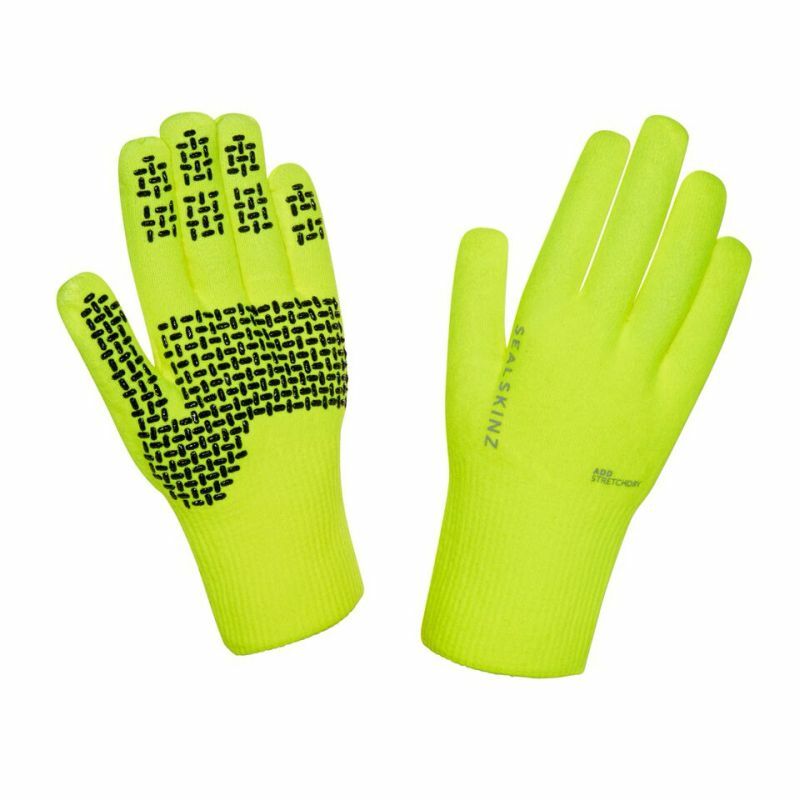 Featuring a dotted palm and fingers, the SealSkinz Ultra Grip Hi Vis Gloves give an excellent grip in both dry and wet conditions. The SealSkinz Ultra Grip Hi Vis Gloves are developed to give 100% waterproof protection so can be worn even in the most challenging wet weather. Designed to act as a barrier between the wearer and the wind, the SealSkinz Ultra Grip Hi Vis Gloves provide protection from the elements whilst remaining lightweight, flexible and comfortable to wear. 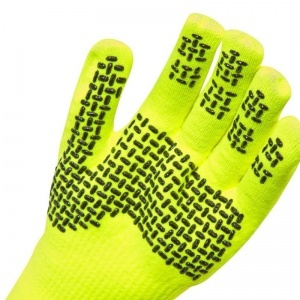 In order to select the correct size of the SealSkinz Ultra Grip Hi Vis glove, simply measure around the knuckles in inches. Then compare your measurement with the chart below to ensure that you select the correct size of glove for your hand. We would recommend using a tape measure to get the right measurement. 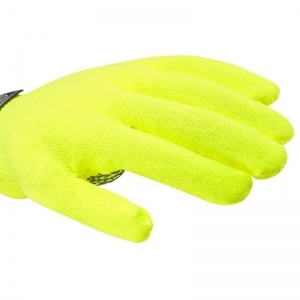 The SealSkinz Ultra Grip Hi Vis Gloves are supplied in pairs.